The higher authority of Defence Research and Development Organisation had released DRDO Senior Technical Assistant B Recruitment 2018 Notification. Candidates who want to apply for the 494 Vacancies of Senior Technical Assistant B (Agriculture, Automobile Engineering, Botany, Chemical Engineering, Chemistry, Civil Engineering , Computer Science, Electrical & Electronics Engineering, Electrical Engineering, Electronics & Instrumentation, Electronics or Electronics & Communication or Electronics & Telecommunication Engineering, Geology, Instrumentation, Library Science, Mathematics, Mechanical Engineering, Metallurgy, Photography, Physics, Psychology, Zoology) posts, they can go through this complete article. We suggest all the candidates make use of this drdo.gov.in Jobs 2018 opportunity. In this post, we had mentioned the information like post wise vacancies, examination centers, age limit, educational qualification, pay scale, application fee, selection procedure, important dates and procedure to apply for the DRDO Senior Technical Assistant B Recruitment 2018. All the fascinated candidates should apply for the रक्षा अनुसंधान और विकास संगठन Application Form before 29th August 2018. Candidates who are interested in applying the DRDO Senior Technical Assistant B Recruitment 2018, they can check this whole article. First of all, candidates need to apply for the DRDO Senior Technical Assistant B Recruitment 2018 through online mode. Before applying for the application process, candidates should know drdo.gov.in eligibility criteria. If aspirants can eligible, then they can proceed for further process. At the bottom of this page, we had attached the direct link for the DRDO Senior Technical Assistant B Recruitment 2018 Notification. Aspirants can scroll down this entire article to know more details about the DRDO Senior Technical Assistant B Recruitment 2018. If candidates want to apply for the DRDO Senior Technical Assistant B Recruitment 2018 For 494 Vacancies, they should have to check the educational Qualification. If the eligibility criteria get matched, they can proceed for the further process. However, to get more details aspirants can check the official advertisement before apply. Educational Qualification: Candidates should have the complete degree in B.Sc from a recognized University / Institute / Board in respective positions. After completion of checking the educational qualifications, candidates need to look at the age limit. This organization provides the age limit according to category wise. For more details about Age Limit For Defence Research and Development Organisation Jobs 2018, DRDO Senior Technical Assistant B Recruitment 2018, aspirants can visit the official website. Age relaxations for SC, ST, OBC, PWD will be as per the rules and regulations of the organization. To opt for the capable and selected candidates, the officials of Defence Research and Development Organisation had announced the selection procedure for 494 Vacancies. The higher authority will conduct the Written Test. For more details about the Selection Process, and DRDO Senior Technical Assistant B Recruitment 2018, contenders need to read the official notification. Candidates who got recruited for the494 Vacancies. They get the pay scale from the higher authority of Defence Research and Development Organisation. And the aspirants will receive the pay scale at level 6 as per the 7th CPC Pay matrix and other benefits. Initially, visit the official website of Defence Research and Development Organisation that is drdo.gov.in. Go to the what’s new section in the homepage. Search for the flashed link of DRDO Senior Technical Assistant B Recruitment 2018. After completion of reading, fill the application form of DRDO Senior Technical Assistant B Recruitment 2018. Take two or more xerox copies for further updates. We feel that provided information about DRDO Senior Technical Assistant B Recruitment 2018 is clear and informative. 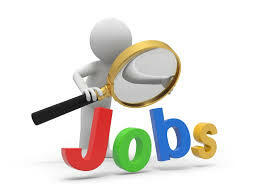 For more details, candidates can visit the official website of Sarkari Recruitment regularly.